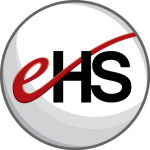 At e-Healthcare Solutions we are dedicated to maintaining our position as an industry leader in the digital health space. Part of that commitment is our dedication to bringing our marketing/advertising clients and our publisher partners new programs and platforms to drive their business. One of the platforms-of-focus is mobile. As pharma, in particular, looks to integrate mobile into their marketing plans they are evaluating two options: to build mobile apps themselves or to align with existing apps that already reach their target audience in a positive way. In the current mHealth issue of PharmaVoice, our own John Maillard, Director of New Product Development and Syndication, adds comments to the mobile conversation. John has also written on this topic at minOnline. In his posting Getting Mobile Right – The First Time he elaborates on how to define strategy to best leverage the mobile medium. He explains that in mobile, data defines the audience. The data helps advertisers target their message without having personal audience information being shared directly with the advertiser. At e-Healthcare Solutions, we are working with quality mobile partners whose apps align with our business strategy of connecting advertisers with their physician/HCP and consumer audiences in the digital healthcare space. The availability of anonymous targeting data helps improve the quality of the connection to each user. Currently in our Network are GlucoseBuddy, which is the #1 iPhone app for people with diabetes; and The Oncologist for physicians and other HCPs interested in this specialty. We are working to grow this area of our business with the highest quality partners that reach the audiences our marketing clients need to reach.